I do have an etsy shop, here, but since I’m still filling it up I decided to create this page for those who have asked me if they can order things online. You can order here, or from my etsy shop. With few exceptions, what you order from this site will be custom made for you, and take 2-3 weeks to be completed and delivered. I don’t keep fabric in stock, and make everything myself, so it takes a bit of time to fill orders. But the beauty is in having something made just for you! Please scroll through the items listed and order if you like, or feel free to contact me with questions or ideas for a custom design. 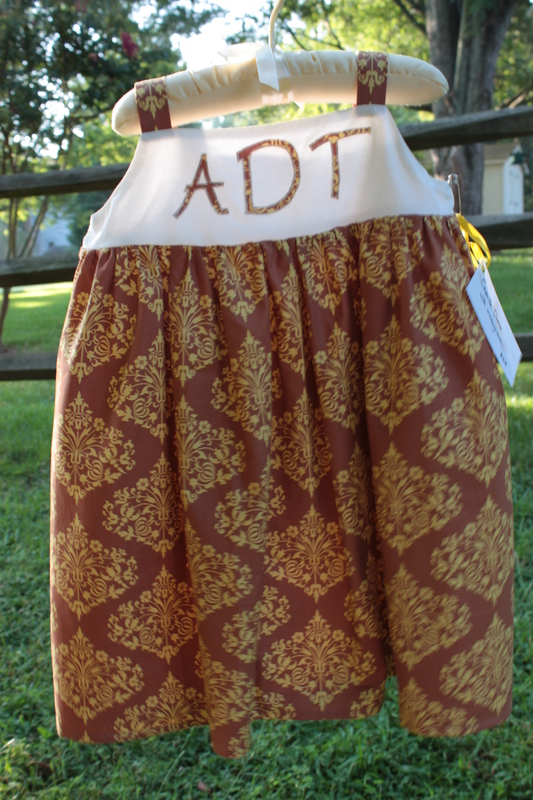 The dresses below are my most recent dress creations. 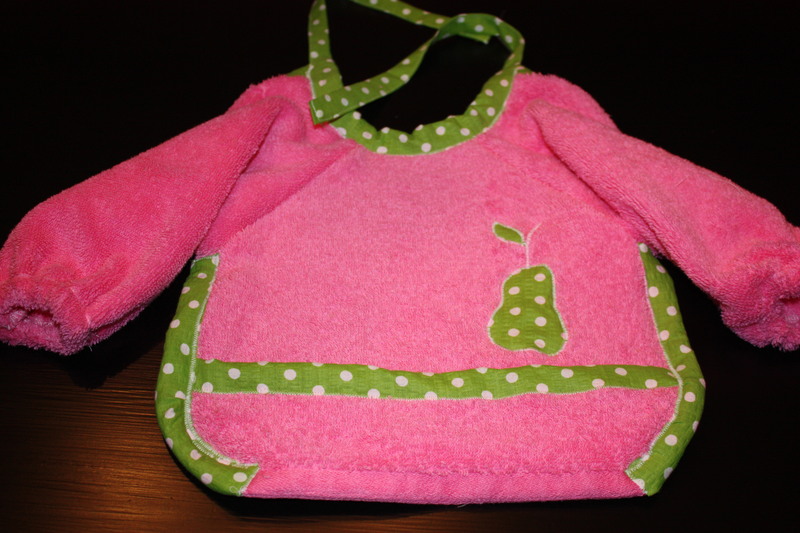 Having a new baby prevented me from designing anything new for this summer, but watch for new designs this fall. 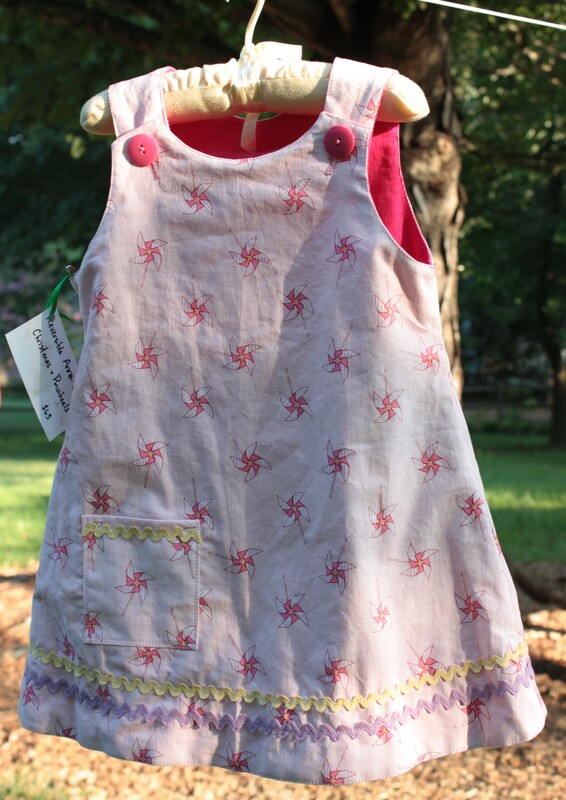 My dresses are fully lined, with the exception of the farm dress, where only the bodice is lined. 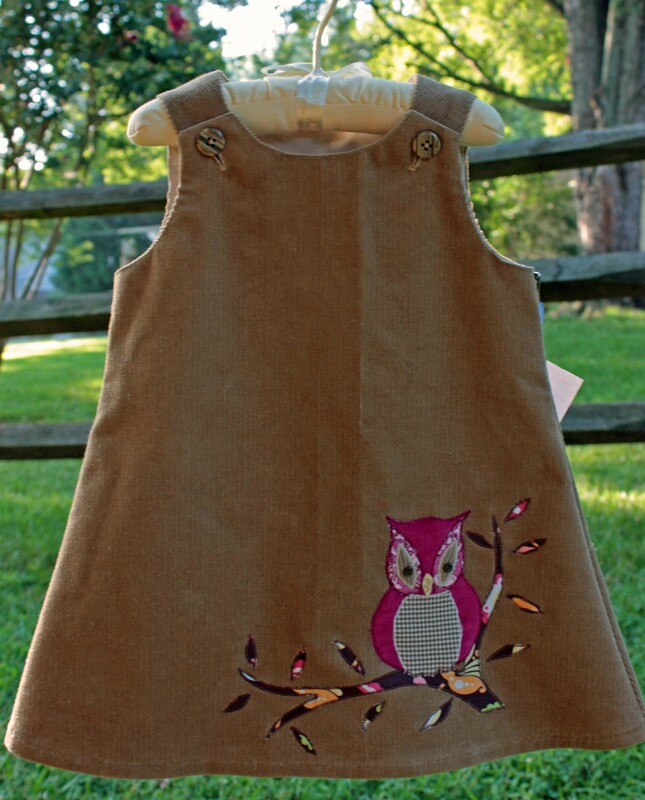 The fabrics are cotton, and either corduroy or designer prints. 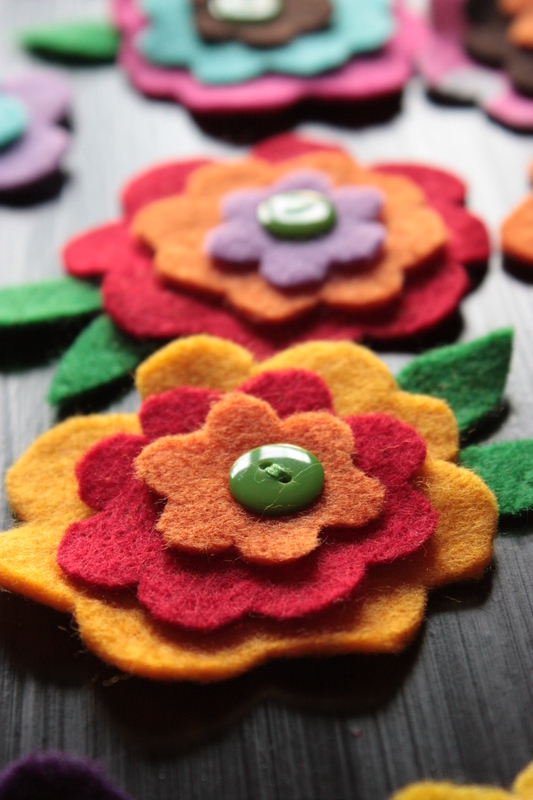 I have some felt flowers in stock, and can make them in whatever color combination you desire. When ordering please specify colors, from largest layer to smallest, button color, and whether you want the flower on a safety pin or alligator (hair) clip. 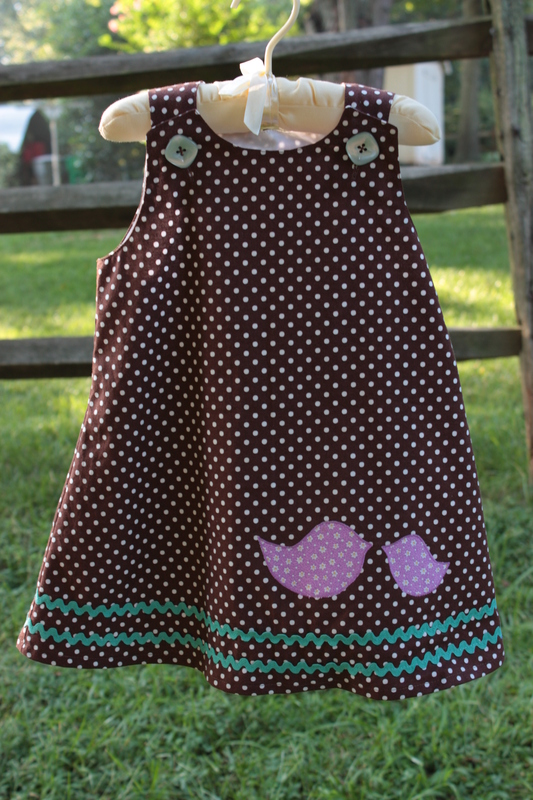 Available colors: yellow, hot pink, white, chocolate brown, turquoise, orange, black, red, light pink, lavendar, purple, pink with while polka dots, white with multi polka dots. Button colors: hot pink, medium pink, turquoise, green, or let us pick for you. Men’s bowties are $32 for self-tie ties. 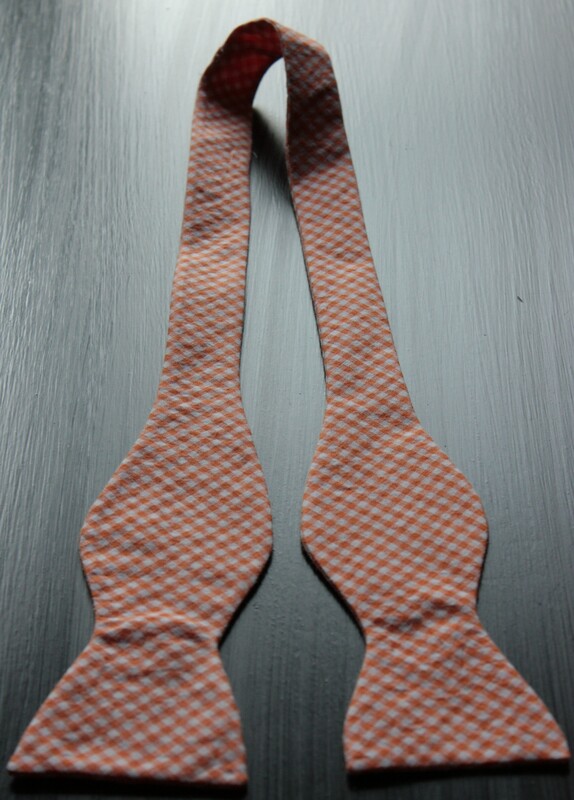 Boy’s are available in self-tie for $15, or pre-tied with a clip for $20. Ties are available in a variety of colors and fabrics, including seersucker, gingham, stripes, polka dots, and florals. Ties are sized, and made to order based on your color and fabric preferences. 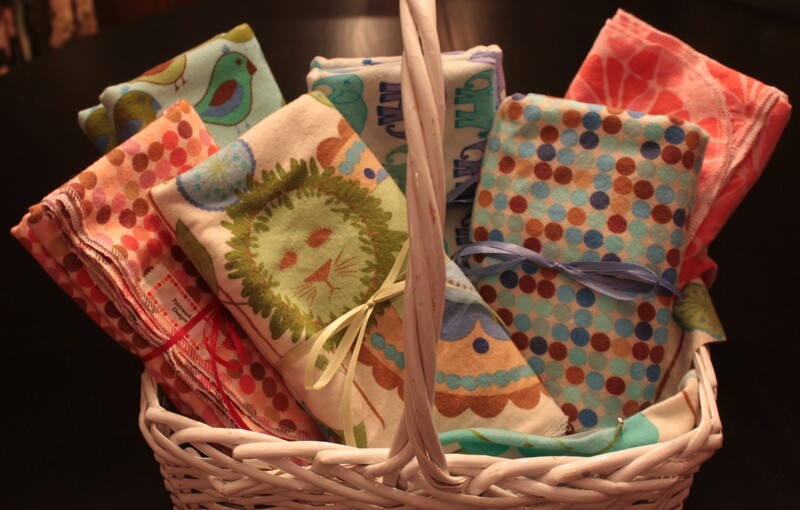 Burp Cloths are available for $7 each, or in a set of 2 for $12. 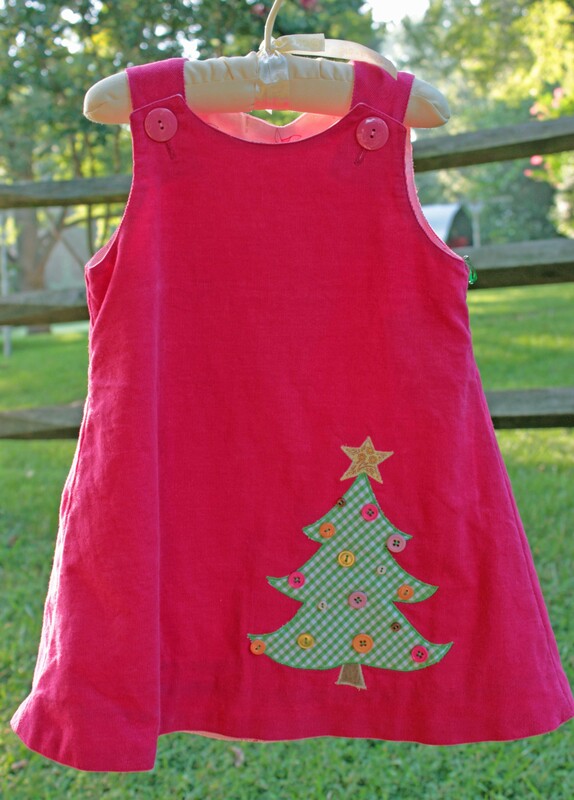 I will happily make them with your choice of color and pattern, and with an applique of your choice. I am also happy to personalize them, at a cost of $6 + $.25/letter. 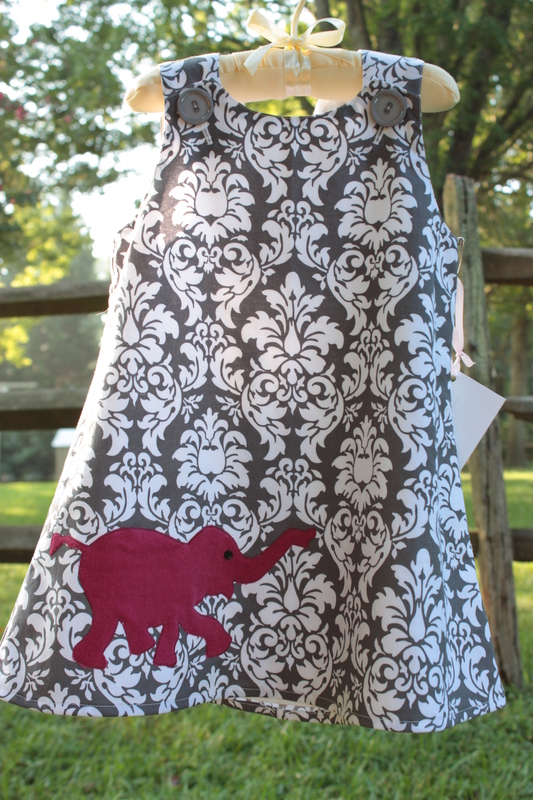 Baby Bibs are $10 if ordered individually. 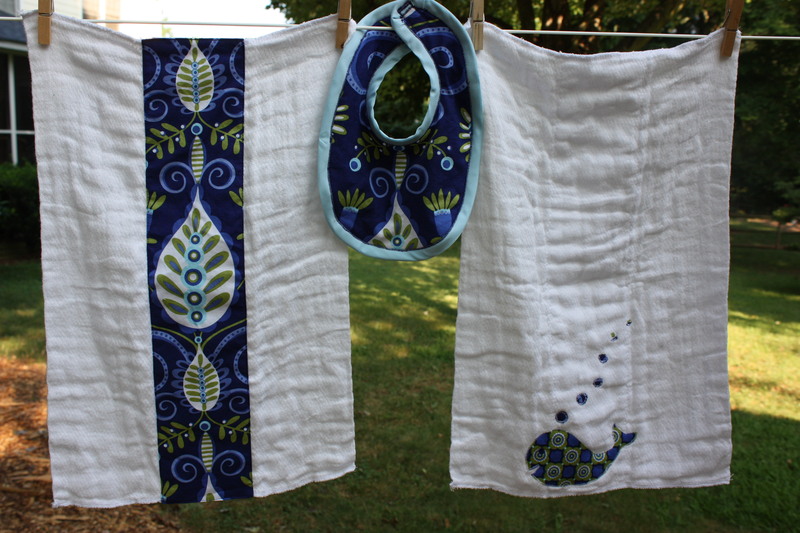 I also offer a coordinating set of 2 burp cloths & a baby bib for $20. 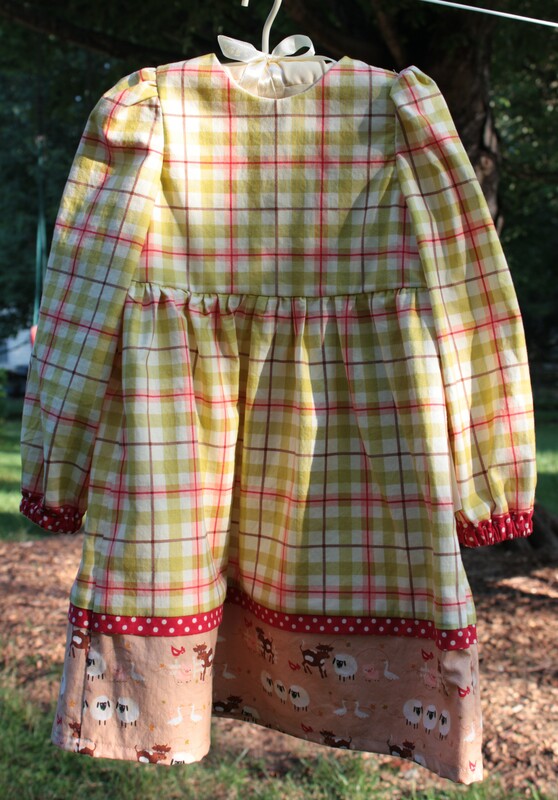 100% cotton flannels, available in the patterns you see above, or other patterns by request. Edges are serged for a smooth finish. To order any of the items above, please fill out the form below with as much information as you can give me. I will then contact you to discuss details and timing, as well as cost. I cannot take credit cards, so cash or a personal check will be required to complete your order. However, please hold your payment until we have discussed all the details and have a firm plan for your order. 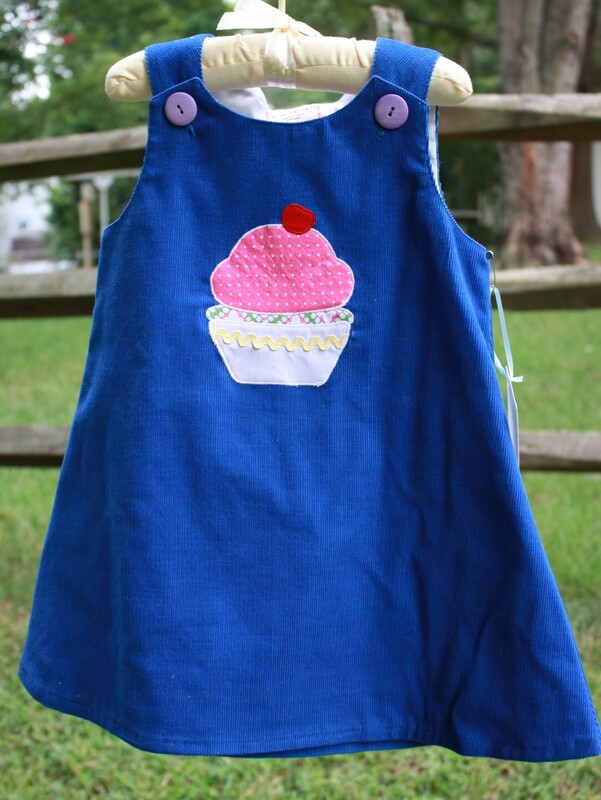 While the items above are some of the standard items I make, the majority of the sewing work I do is custom, so please feel free to contact me about something just for you. I do window treatments, pillows, nursery decor, and various other home decor projects, as well as custom projects for babies and children. You can contact me through the form below and I will get in touch to talk about your project.